Desmond Jones is a five-piece American rock band from Grand Rapids, MI. With original music written to complement the group’s sound as a whole, the music is centered on melodic guitar riffs, groovy basslines, funky drumbeats, and smooth saxophone. The group takes influence from Frank Zappa, The Grateful Dead, Phish, Miles Davis, The Band, and Led Zeppelin to name a few. Desmond Jones puts on exciting and high-energy shows with a high level of musicianship and skillful improvisation. Each show, set list, and song is different from night to night. 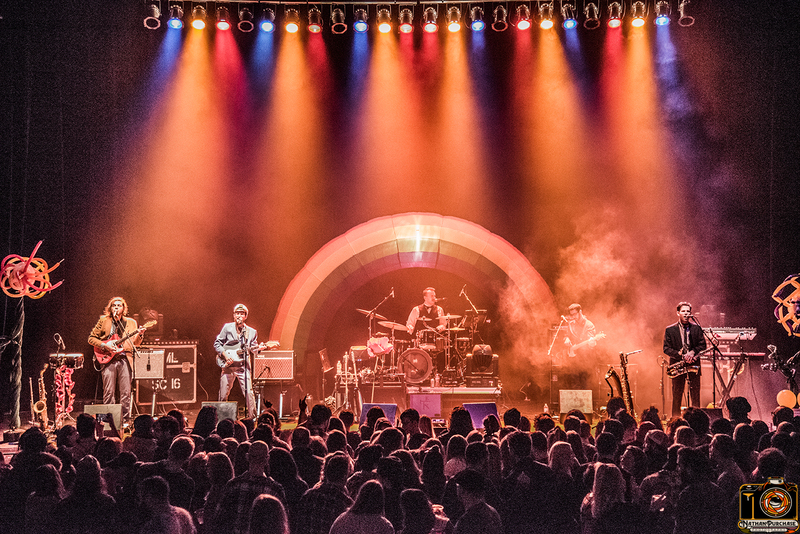 The group has played over 500 shows and has shared the stage with bands like Papadosio, Joe Russo's Almost Dead, EOTO, Here Come the Mummies, Aqueous, Dopapod, Joe Hertler and the Rainbow Seekers, and many more. Mosswalk: Emerging from the abundant soundscape of Buffalo, NY, Mosswalk is a troupe of musical adventurers focused on dynamic songwriting, sonic exploration, and an immersive live experience. Prepare for a unique odyssey along paths of melody, harmony, and rhythm!